The Volkswagen Beetle is an instantly recognizable icon, as well as the best-selling production vehicle in automotive history. Come with us as we take a walk down memory lane and explore a brief history of the Volkswagen Beetle as the last of the breed prepare to roll into Flushing for their final run — for now. The original Type I was commissioned in 1938 with an eye toward creating a simple, economical vehicle that would appeal to the common worker. The original design, created by Ferdinand Porsche, featured a rear air-cooled engine and clever design elements borrowed from earlier Porsche models. While mass production was halted at Germany’s Wolfsburg factory during World War II, the Beetle would find new life after the war thanks to clever advertising and a new aesthetic. By the end of 1946, the British had taken control of the VW factory and were turning out Beetles again, producing more than a million by the mid-1950s, but the car wasn’t much of a hit with Americans, who balked at the idea of buying a German vehicle so soon after the war. A genius ad campaign from the Doyle Dane Bernbach agency in New York helped Americans see small, touting the Bug’s compact size, fuel efficiency, and low maintenance costs as reasons why the Beetle was so big. During the swinging 60s and 70s, Volkswagen released several individual trims, including the Sun Bug, the Baja Beetle, the Super Beetle and, of course, the Love Bug, which became the central character of several hit Disney movies. This cemented the Bug’s place in American pop culture as well as the hearts of Bayside area drivers. In 2003, with production numbers declining, Volkswagen officially announced the end of Beetle manufacturing. In July of that year, the last bug rolled off the assembly line in Puebla, Mexico, making its way to the Volkswagen museum and automotive history. Fortunately, Volkswagen lovers still had the “New Beetle,” introduced in 1998 to fill the void left behind by the spunky compact. This Bug, with its modern interior, sleek exterior, front, water-cooled engine, and high-tech appointments proved that were still beloved by Manhattan drivers, continuing to be a fan favorite for the next 20 years. 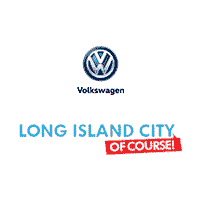 Turn to Long Island City Volkswagen for more information about your favorite vehicles and what Volkswagen has to offer your Bronx commute. Check out our other pages for info on your vehicle’s maintenance schedule, money-saving offers, Volkswagen warranty offers, or just the best Thai restaurants to satisfy your food cravings tonight.